This month we are wild for wallpaper, and over the next few weeks we at RL would like to showcase some of Britain’s best. 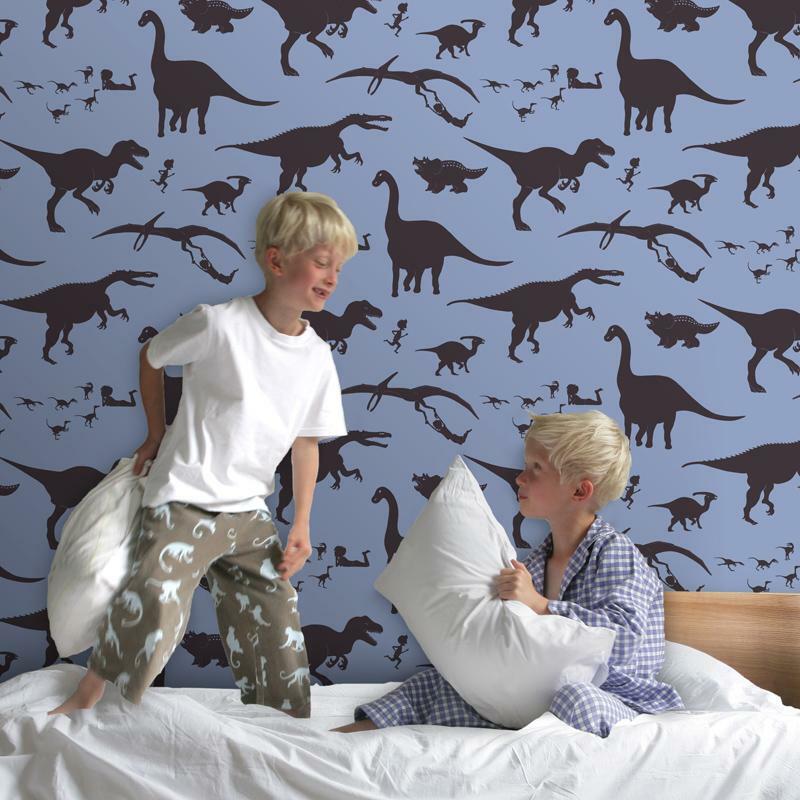 First up its wallpapers for boys rooms, these fun designs were created by mum Victoria after she couldn’t find anything she liked for her two boys’ rooms. We think she’s come up with something classic, but edgy with definite rascal appeal! The brilliantly named ‘D’ya-think-e-saurus’ shows a small boy playing with dinosaurs and it comes in four different color palates. 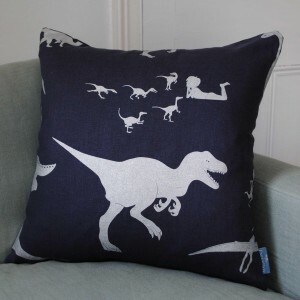 And to really max the fun, the boys can really get into the trouble with matching soft furnishing. Victoria’s “Hand Made’ range kept us entertained as we practiced our own hand shadow shapes. 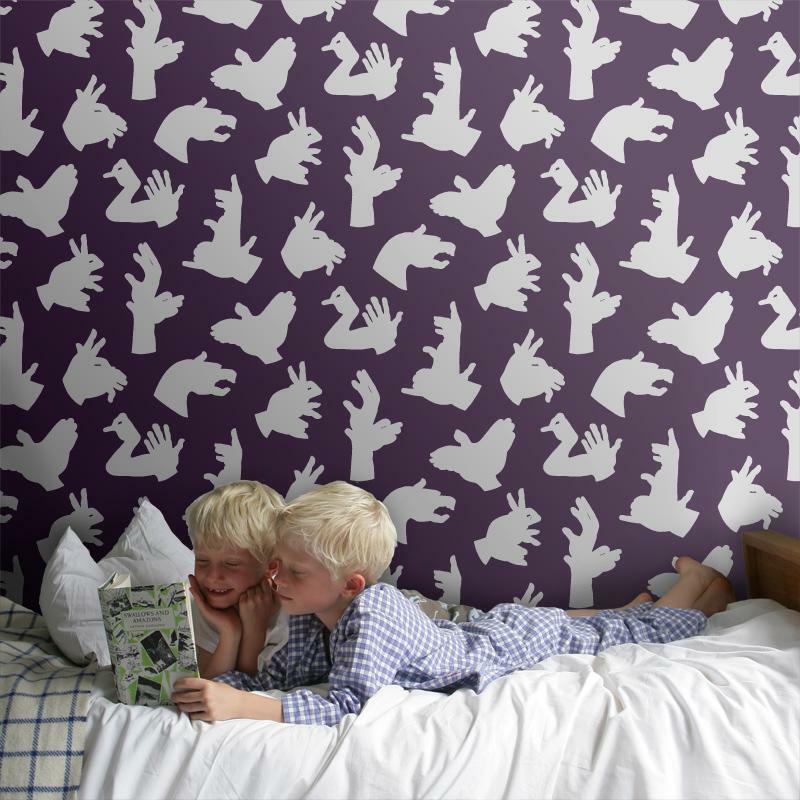 We loved the simplicity of this idea, combined with the contemporary range of shades, and we think its a great the idea to unleash little people’s imaginations in their own bedrooms with wallpaper. Please write in and let the team at RL know what you think of it, or how many shadow shapes you can come up with! Many thanks to Victoria for the use of her images.